An ominous Spectre hung over CES 2018’s PC announcements, as the industry grapples with how to protect against devastating CPU exploits that melt down security on damned near every computer on the planet. But put all that aside for now: 2017 was one of the best years for PC hardware ever, and at CES 2018, the PC kept the pedal firmly planted to the metal. Intel and AMD joined forces on a powerful chip. Nvidia pushed gaming displays way past the limits of what we’ve seen so far. Next-gen routers and VR headsets made their debut. 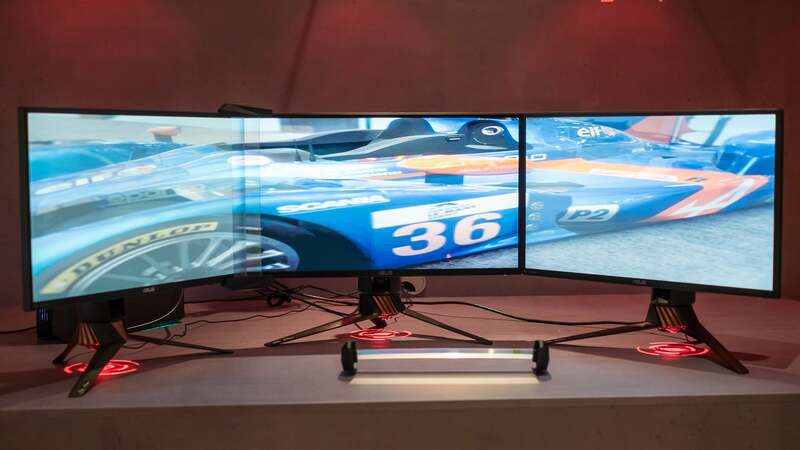 Heck, Asus used an optical illusion to make multi-monitor setups even more immersive! Let’s dig into the 10 big CES reveals that PC enthusiasts need to know about, starting with a doozy. 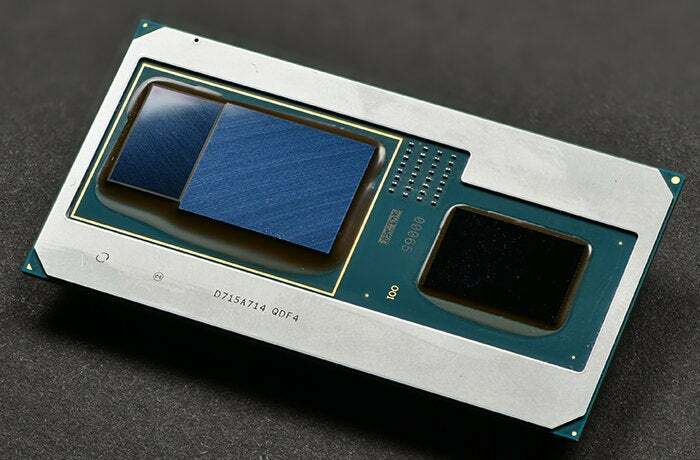 Kaby Lake G blends a high-end Intel Core i7 CPU with AMD's Radeon Vega graphics. Hell’s frozen over. Pigs are flying. Intel and AMD are working together on a chip. Okay, okay, we’ve known this collaboration was coming since November. But at CES 2018, Intel pulled the full curtain back on five Intel Core processors shipping with Radeon Vega graphics onboard. You’ll find both Core i5 and Core i7 CPUs represented in the “Kaby Lake-G” lineup, as well as differing Vega configurations. But getting down to brass tacks—hit that link for full details—Intel expects the chips with slower Radeon graphics to beat Nvidia’s GeForce GTX 1050 in gaming performance. That translates to decent 1080p gaming performance with Medium graphics settings, roughly. And Intel says the full-force 100W chips should outpunch even the GTX 1060 Max-Q, a GPU that demands few compromises at 1080p resolution. And, you know, Intel and AMD are working together. These radical Kaby Lake-G chips will appear in actual PCs sooner than later. 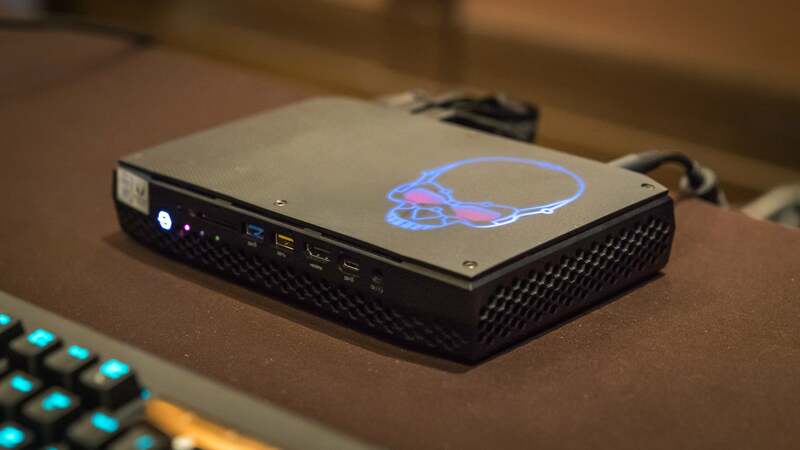 Intel showed off badass-looking “Hades Canyon” NUCs that should blow our beloved previous version of the itty-bitty PC out of the water—albeit for noticeably higher prices. HP’s updated Spectre x360 15 (bad timing on that name, folks) also marries Intel with Radeon, as does Dell’s new MacBook Pro rival, the maglev keyboard-equipped XPS 15 2-in-1. Look for those gaming-ready, yet super thin laptops to land this spring. AMD didn’t settle for being Intel’s plus-one. At CES, the company dropped the proverbial kitchen sink, giving us a far-reaching look at the future of its CPU and GPU lineups. AMD plans on launching a pair of affordable desktop APUs in February. They’ll marry Ryzen CPU cores with Vega graphics cores, negating the need for a discrete graphics card—one of the few glaring issues in the original Ryzen lineup. Shortly thereafter, AMD’s launching a new Ryzen generation based on “Zen+” cores that use a more advanced 12nm manufacturing process, compared to original Ryzen’s 14nm transistors. Officials unofficially told us to expect at least a 10 percent boost in performance over today’s Ryzen chips. New X400-series motherboards will be released to support the new chips, though existing Ryzen motherboards will support them as well after BIOS updates. 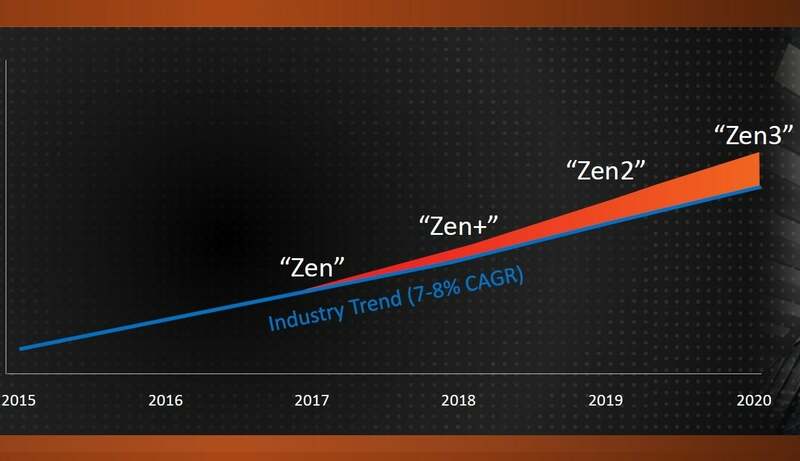 AMD also provided a product roadmap showing Zen 2 releasing in 2019, and Zen 3 in 2020, each providing performance upgrades that exceed the typical 7- to 8-percent uplift found in recent Intel generations. And believe it or not, that’s just the tip of the iceberg. Check out PCWorld’s AMD CES blockbuster post for even finer details about all the new Ryzen gear, as well as information about new Threadripper high-end desktop chips, Radeon graphics plans through 2020, mobile Vega graphics chips, and more. There’s seriously too much to cover here. AMD brought it to CES. We’re still not quite done though—and this last news regards hardware you can actually buy today. AMD is slashing the price of Ryzen and Threadripper CPUs ahead of April’s Zen+ launch, most drastically on its 8-core Ryzen 7 chips. The only consumer 8-core CPU available during CES 2017, Intel’s 6900K, cost $1,089. A mere year later, AMD’s fastest 8-core Ryzen chip is just $350. Yup, 2017 was a great year for the PC. 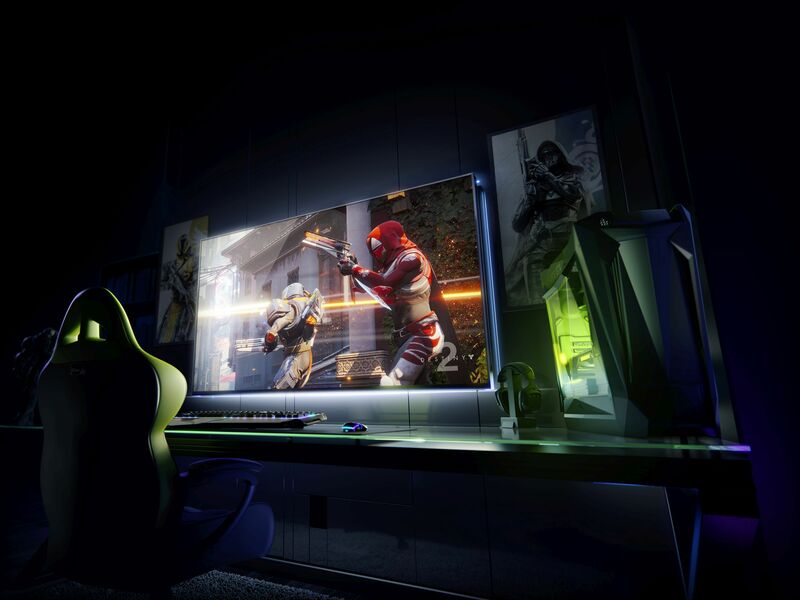 Nvidia wants to make 2018 a groundbreaking year for gaming displays. The company’s hotly anticipated G-Sync HDR displays are (finally) expected to launch this quarter, and later this summer, they’ll be joined by Nvidia “BFGDs” announced at CES. The acronym ostensibly means “Big Format Gaming Displays,” but don’t think it’s a coincidence that the name hearkens to the Doom series’ legendary BFG—the Big F****** Gun. I just call them jaw-dropping, at least in concept. These 65-inch, insanely bright displays are bigger than most people’s television sets, and the 4K, 120Hz panels of BFGDs surpass the refresh rate of any other 4K gaming monitor on the market, rivalled only by other G-Sync HDR screens. These are basically the Holy Grail of gaming monitors—and, with Nvidia’s Shield TV tech baked in, they were the best smart TVs revealed at CES 2018, too. Asus, Acer, and HP have all announced BFGDs, ostensibly to arrive this summer. But considering that the initial G-Sync HDR monitors were revealed at CES 2017 for a summer 2017 launch, and they’re still not available, maybe don’t hold your breath on that. These displays are charting new territory. 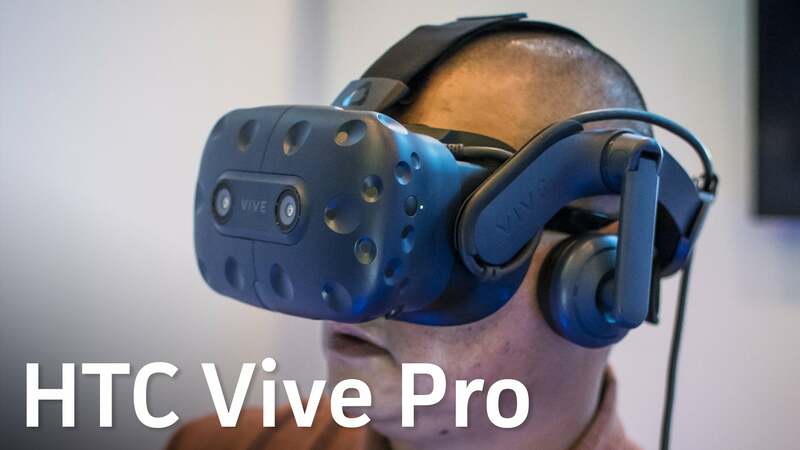 HTC isn’t calling its new Vive Pro VR headset the “Vive 2,” but it might as well be. The original Vive is still the most impressive VR headset around thanks to its room-scale virtual reality capabilities, but the hardware had some noticeable flaws—flaws that HTC has been diligently fixing since its release. The HTC Vive Pro works in all those fixes to finally make the Vive feel complete. The optional Deluxe Audio Strap comes by default on the Pro, replacing the janky elastic straps of the original with a rigid plastic headband—and eliminating the need to bring your own headphones. The display resolution is cranked up from the original Vive’s combined 2160 x 1200 resolution (or 1080 x 1200 per eye) all the way to 2880 x 1600 resolution, or 1440 x 1600 per eye. That’s a huge step up in fidelity and should help combat the “screen door effect” sometimes noticed in first-gen VR headsets. HTC’s even offering an optional Vive Wireless Adapter powered by Intel’s WiGig tech, which should pair nicely with improved Lighthouse base stations that can extend your VR experience all the way to a whopping 100 square meters. The HTC Vive Pro checks all the boxes, but important questions remain. How much will it cost? When is it coming out? Will it replace the original Vive or be a higher-end model? We don't know the answers yet. Speaking of wireless technology, futuristic routers were out in droves at CES. The most notable might have been D-Link’s AX6000 and AX1100 Ultra—two routers so cutting-edge that the next-gen 802.11ax Wi-Fi standard they’re built around isn’t even an official standard yet. 802.11ax routers will get a speed boost over today’s 802.11ac routers, sure, but the technology’s big draw is the ability to handle large amounts of network traffic much more efficiently. With so many web-connected devices clogging up the pipes in modern homes, 802.11ax hopes to make it so none of your device ever find themselves starved for bandwidth. Our article dives deeper into the nitty-gritty details. 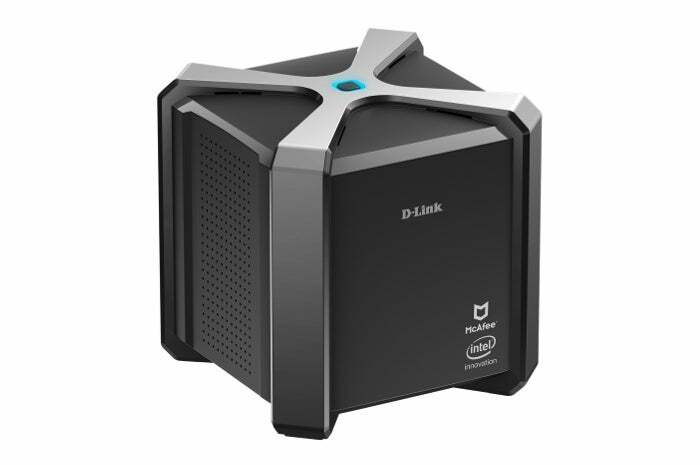 D-Link also announced the boringly named DIR 2680, which looks like an Overwatch loot box and bakes McAfee’s Secure Home Platform right into the router itself, protecting every device on your network from PCs to swanky smart lightbulbs. That’s not new, per se— Symantec has its Norton Core router, and Bitdefender is onto the second iteration of its Bitdefender Box—but we saw more of the trend at CES. 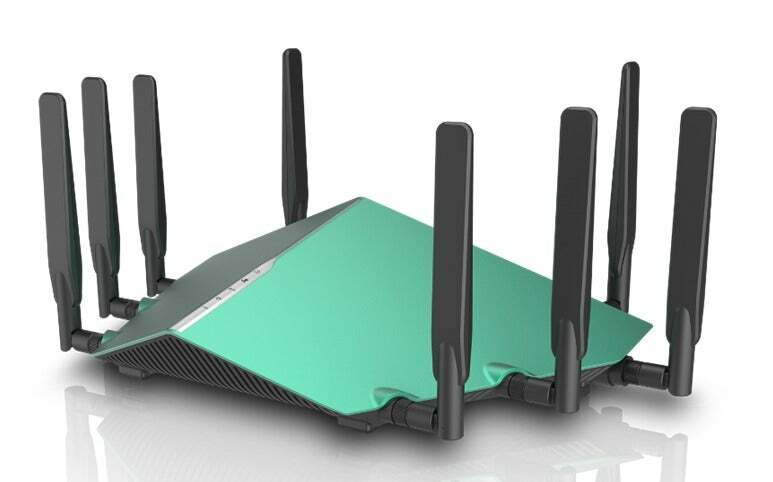 Netgear’s version takes a different angle: Netgear Armor is an optional firmware update for existing routers that adds in Bitdefender antivirus at the network level for $70 per year. Nifty! Unfortunately, the only hard details provided were plans for Armor to first appear for the $160 Netgear Nighthawk AC2300 Smart WiFi router (model R7000P) at some point in the future. 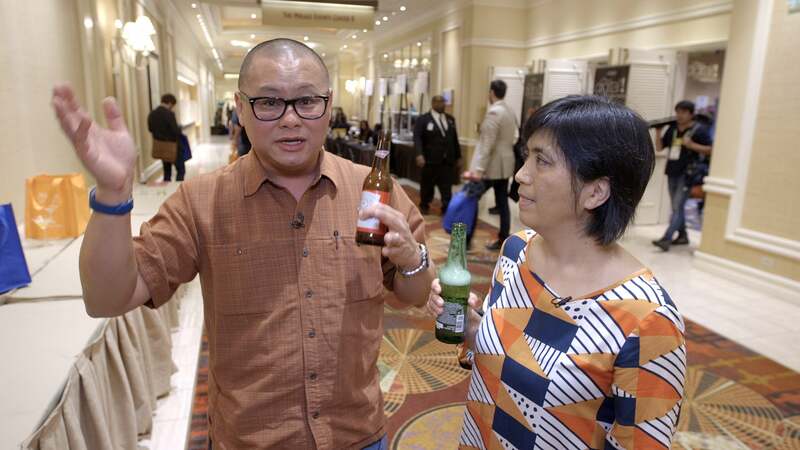 Hey, CES isn’t about fine details. It’s about the big picture. It’s about the future. Intel unveiled a potential glimpse of the future of computing during its blockbuster CES keynote, which was surprisingly light on news about traditional PCs. 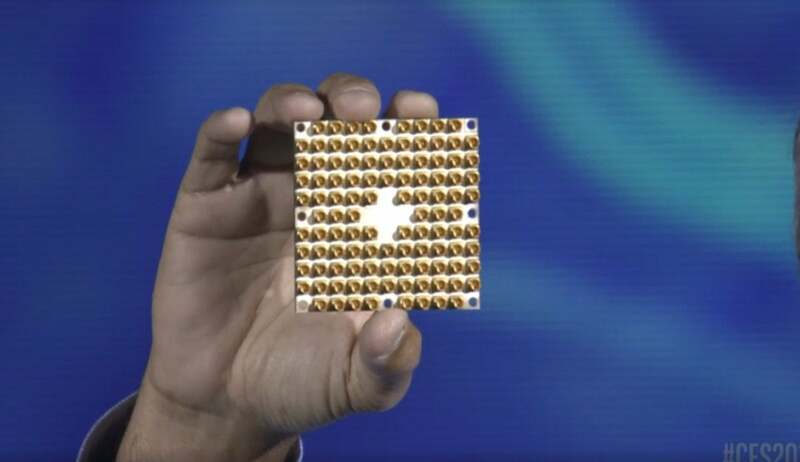 Instead, CEO Bryan Krzanich showed off a 49-qubit chip for quantum computing. “This 49-qubit chip pushes beyond our ability to simulate and pushes towards quantum supremacy, the point at which quantum computers far and away surpass the world’s best supercomputers,” Krzanich said. Check out PCWorld’s Intel CES keynote coverage for more details, because quantum physics make my brain ache. My mind works in ones and zeroes. The company also pushed its bleeding-edge 3D XPoint technology, which blends the performance of DRAM and the non-volatility of traditional NAND storage to create SSDs with insanely good latency, insanely good low que depth performance, and endurance in spades. The new Optane 800P SSD is the first Intel Optane (read: 3D Xpoint) drive pitched at the masses, coming in a bootable M.2 form factor and 58GB and 118GB capacities. 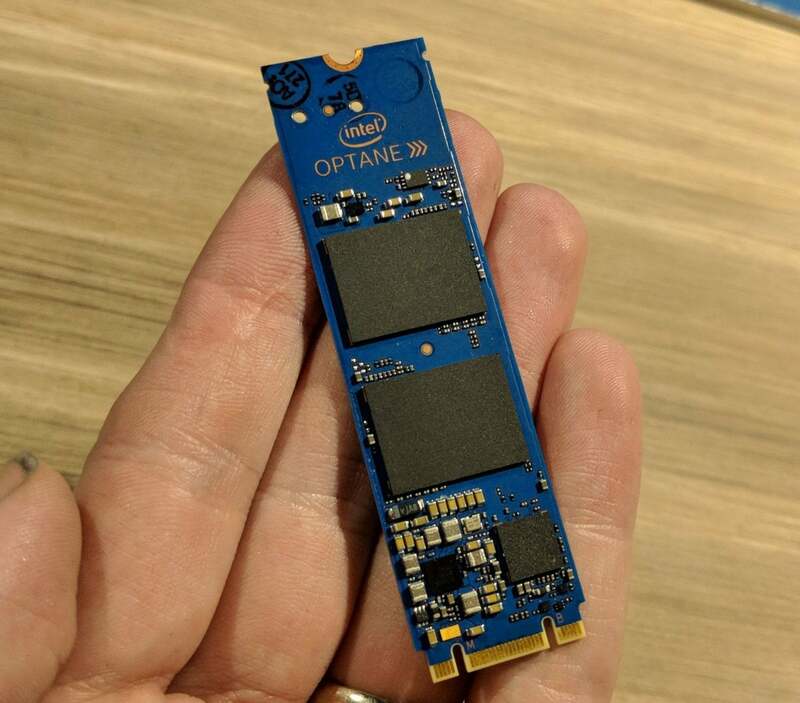 Intel’s first two Optane drives, the enthusiast-focused Optane 900P and Optane Memory caching solution, targeted much more niche use cases. Wirelessly charging mice are officially a trend now. 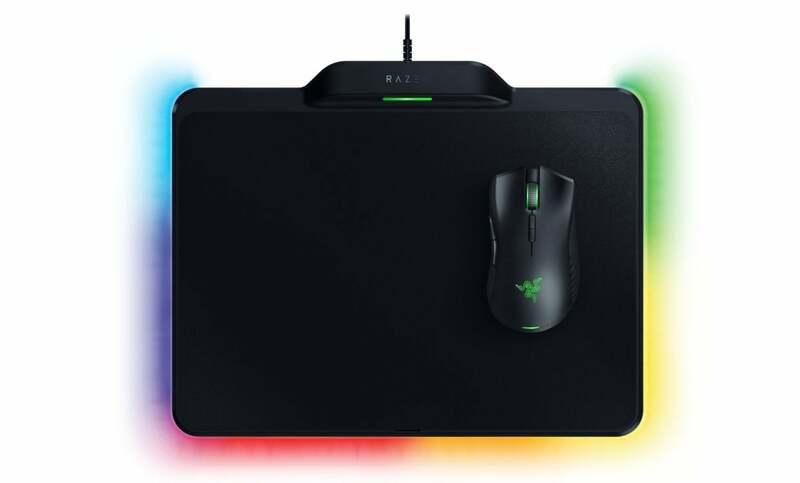 Following in the innovative footsteps of Logitech’s PowerPlay mousepad and its G703 and G903 mousepad, Mad Catz and Razer revealed wireless charging mousepad/mouse combos at CES 2018 in the form of the RAT Air and HyperFlux Mamba, respectively. The mousepads plug into your PC and wirelessly charge your mouse while you use it. Nifty! The Razer HyperFlux Firefly mousepad and HyperFlux Mamba mouse. “For instance, there are certain areas of Logitech’s Powerplay mousepad where my mouse doesn’t receive a charge—mostly along the extreme edges and in the corners. The charging field also extends only a few millimeters at most above the mousepad, so I lose power whenever I lift and adjust the mouse. And that’s fine, because there’s a battery to fall back on. Either way, mousepads wirelessly charge mice now. We’re officially living in the future. Stop us if you’ve heard this one before: Microsoft and Qualcomm are trying to make ARM-powered Windows laptops a thing. Windows RT wound up being an unmitigated disaster, quickly cast aside by Microsoft and PC vendors alike. But this renewed attempt at always-connected, long-lasting ARM laptops learned from its past. 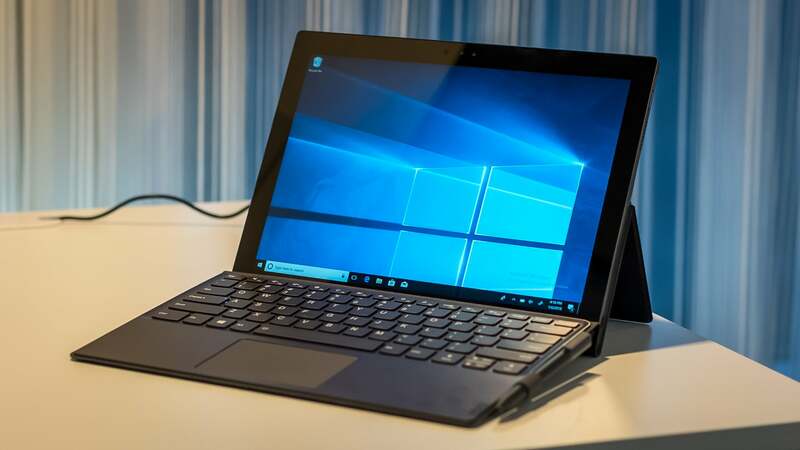 Where Windows RT laptops were restricted to meh Windows Store apps alone, the new batch of Qualcomm Snapdragon notebooks will be able to run the full-blown version of Windows 10—though they’ll need to emulate traditional desktop software, which slows performance compared to Intel- and AMD-based Windows laptops. Now for the disappointing news. The Snapdragon-powered 2-in-1 we handled at CES, Lenovo’s Miix 630, can’t run desktop software by default. Instead, it runs Microsoft’s gimped Windows 10 S, a made-for-education version of the operating system that’s—wait for it—locked to the Windows Store. Other Qualcomm Windows PCs we’ve seen do the same. Have we learned nothing??!! Fortunately, you can upgrade to Windows 10 Pro through the Microsoft store if you want a thin, light laptop with up to 20 hours of endurance—but doing so will cost you, both in upgrade fees and (likely) in battery life. Is this Windows RT all over again? We’ll find out when ARM-based Windows laptops start hitting the streets at, uh, some point. Nobody’s said when yet. One of my favorite parts of CES is finding PC hardware that’s just plain cool. Digital Storm’s stunning Project Spark fits the bill admirably. 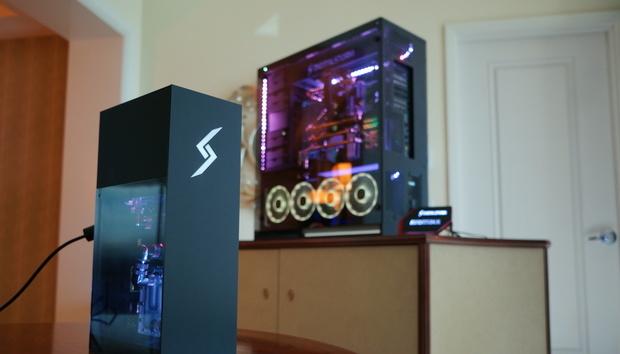 It uses the all-too-rare Micro-STX form factor to cram a Core i7-8700K and GeForce GTX 1080 into a custom-made case measuring just 6 x 4 x 12 inches. That’s a lot of firepower in a tiny space! 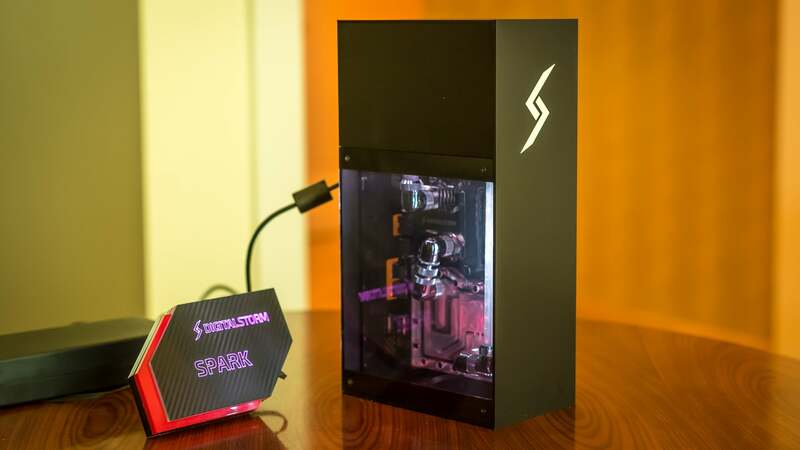 Digital Storm pulls it off by outfitting those heavy-hitting components with fully custom liquid-cooling the likes of which you normally only see in gigantic boutique rigs. And did I mention that it’s drop-dead gorgeous? Just watch the video above. Digital Storm will start shipping Project Spark sometime later this year, with prices that start at $1,300 for a GTX 1060-equipped system. Triple-monitor setups provide ultimate gaming immersion when you’re playing a shooter, racer, or a space sim like Elite Dangerous. Well, until your eye shifts to one of the side panels and stumbles across monitor bezels creating dark seams in the action. Enter the Asus ROG Bezel-Free Kit, which makes those ugly monitor edges disappear using an optical illusion rather than advanced technology tricks. Simple plastic clips clamp acrylic strips over the bezels. They’re set at a precise 130-degree angle to make those bezels fade away. The image coming through the kit still looks distorted and low-rez, but the illusion nevertheless ramps up the immersion factor, as you can see in the video above. The kits need to be designed for specific monitors to ensure the proper alignment of the lens. The version Asus revealed was created for the ROG Swift PG258Q ($560 on Amazon) and Strix XG258Q ($450 on Amazon) gaming monitors, though Asus says the kit can work with thin-bezel displays from other manufacturers as well. The ROG Bezel-Free Kit may launch later this year, or maybe not; Asus said the CES preview was to gauge interest. Well, Asus, I never knew I wanted this, but now that I’ve seen it, I need it. This is just the tip of the iceberg. We didn’t even get to NZXT’s stunning debut motherboard, Nvidia's launching GeForce Now game-streaming on PCs, Razer’s ambitious Project Linda, or the mind-blowing Creative Labs “Super X-Fi Audio Holography” tech that could forever change your perception of headphones. For all that and much, much more, head over to PCWorld’s full collection of CES 2018 coverage.